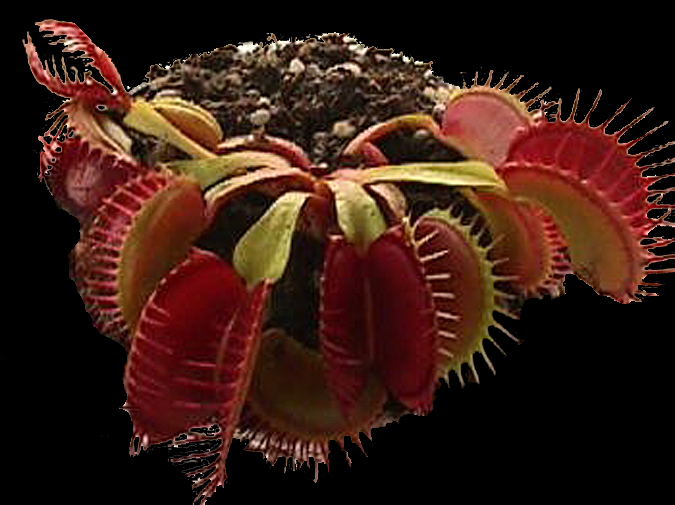 For those who are looking for collector-grade flytraps with big traps, these are an excellent choice. While they have typical-looking traps when small, the larger they get, the more the size of the traps stands out; and they even get a neat shade of red inside the traps when grown in good lighting! Small plants in 3-inch pots, not bareroot as you find with many other suppliers. Water and enjoy!